A PC notebook and genuine Testo Easy Emission Software will come with every Testo 350 purchased before September 30. The Testo 340 will include an Android tablet at no charge when purchased before September 30, enabling you to use the full benefits of the BlueTooth functionality right from the start! A rugged, easy-to-use exhaust gas analyser designed to meet the highest demands when it comes to carrying out precise industrial emission measurements and providing proper data acquisition. The versatile combination options of the different gas sensors in testo 350 offer you the highest level of flexibility in measuring emissions. 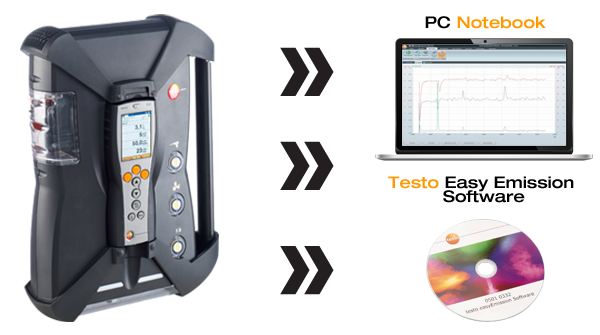 Find out more here about how the Testo 350 can work for you. - Unrestricted measurement of high gas concentrations thanks to patented dilution function. Versatile hand-held analyser for industrial flue gas analysis and emissions the 340 offers the benefits of a unique measuring range extension feature which facilitates unlimited measurements even at high gas concentrations. It is equipped with an O2 sensor as standard and 3 additional gas sensors can be individually configured at any time so your analyser is optimally adapted to your measurement job. Testo 350 will be supplied with a PC Notebook of choice by Testo Australia through GasTech. PC Notebook will include genuine Testo Easy Emission software only, all other emissions monitoring based software will be supplied at standard pricing. 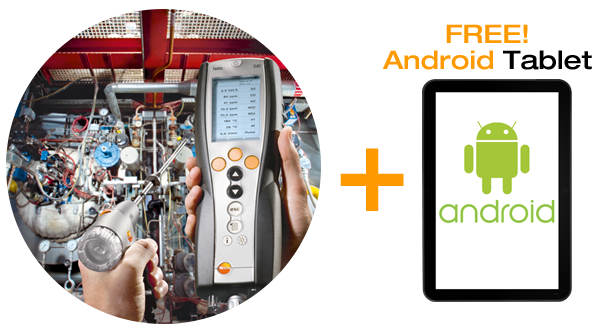 Testo 340 will be supplied with an Android based tablet of choice by Testo Australia through GasTech. Offers only available for orders for Testo 340 and 350 products received by GasTech between July 27 and September 30.